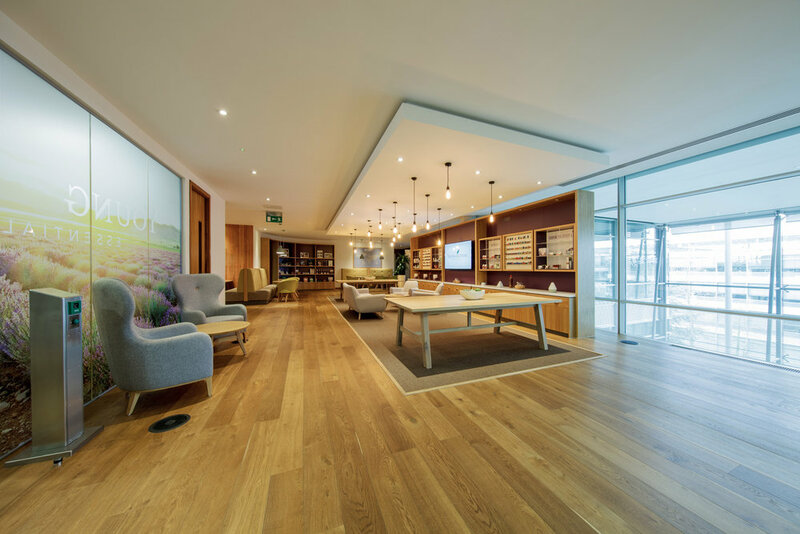 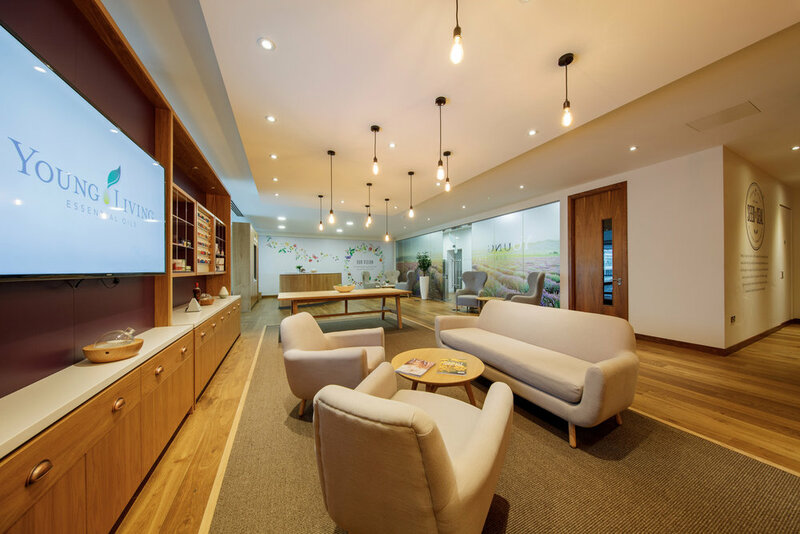 We worked with Young Living to deliver design improvements to their existing work space located within the fantastic Chiswick Park.  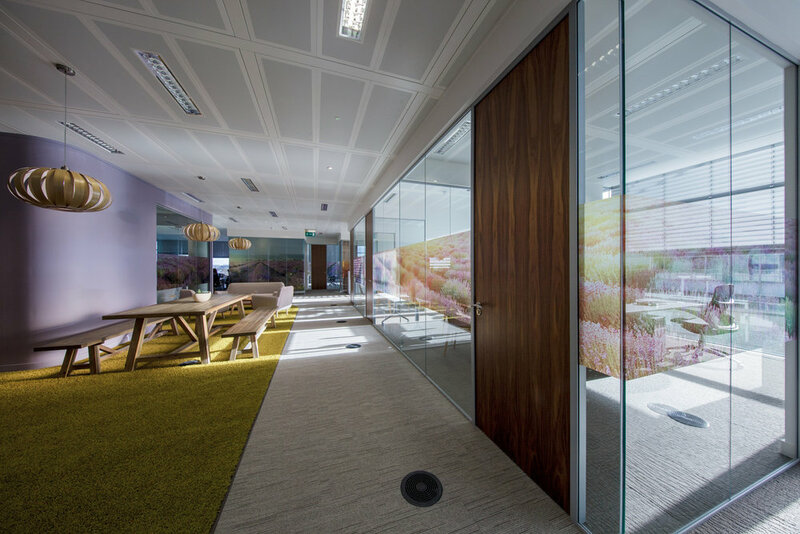 This included both creative changes to the aesthetic and practical changes to the space to increase the efficiency of how they work. 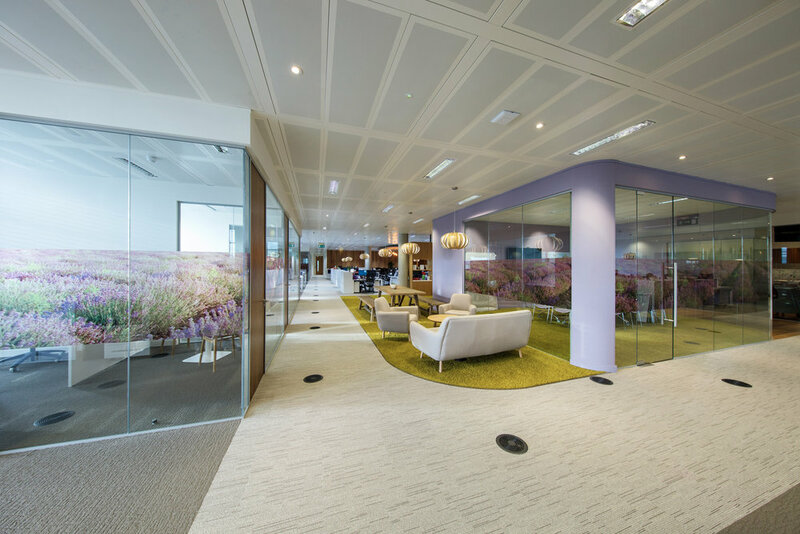 We increased the number of cellular offices, whilst also reconfiguring the open plan spaces to meet new functions. 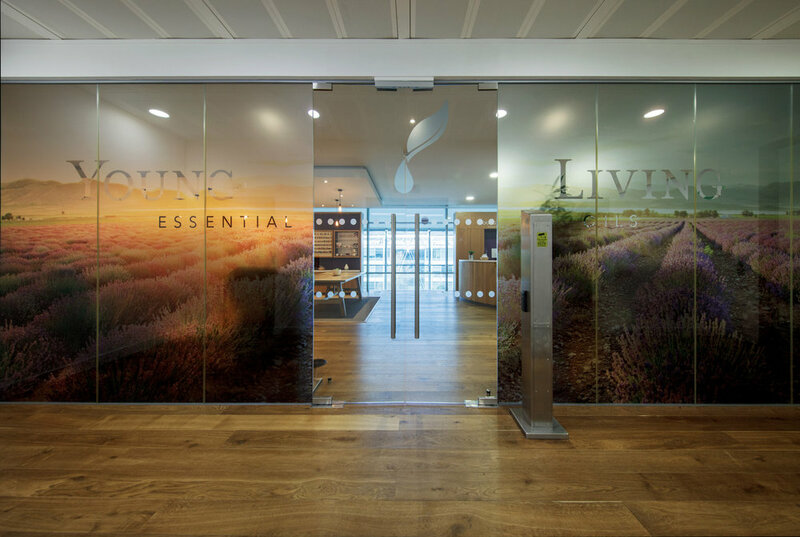 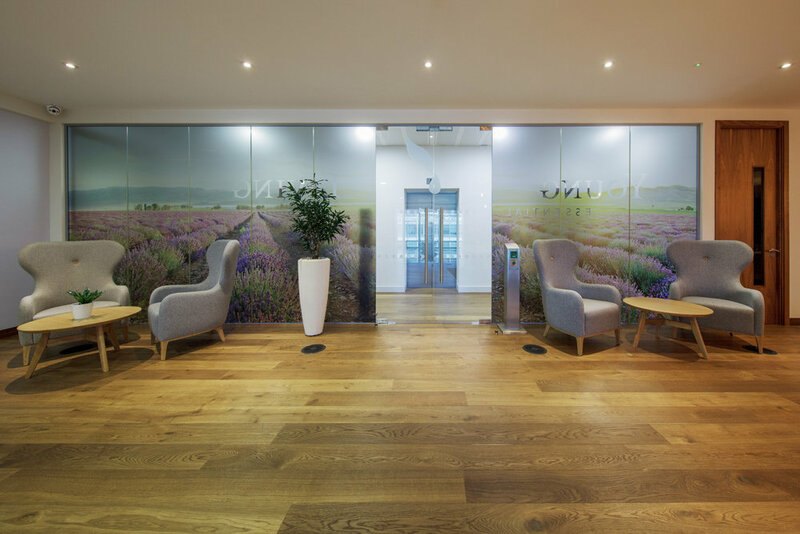 Regarding the aesthetic changes, the biggest implementation was the translucent lavender fields manifestations, which were fitted to the majority of glazed partitions, providing a glorious sense of being immersed in nature and continuing Young Living's brand identity throughout the space.